Ok, so you all know I’m a huge space-buff and all. I really like astronomy, but I’ve never been good at identifying stars and constellations in the night sky. Well I figured someone must have made some software (the math is not very hard) to plot all the stars and planets visible from any given location on earth. I was never able to find something like that. 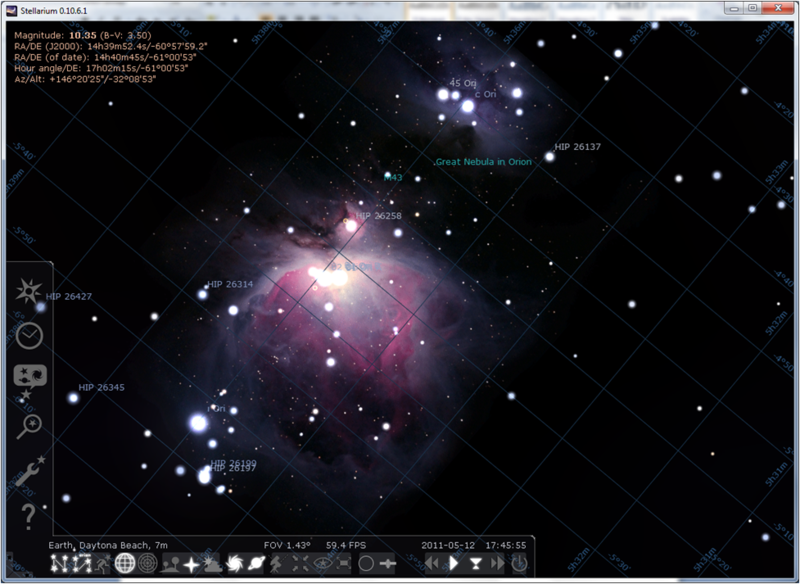 Its a nifty little piece of free software called Stellarium. Takes only a few seconds to install after its downloaded, and its super easy to use. 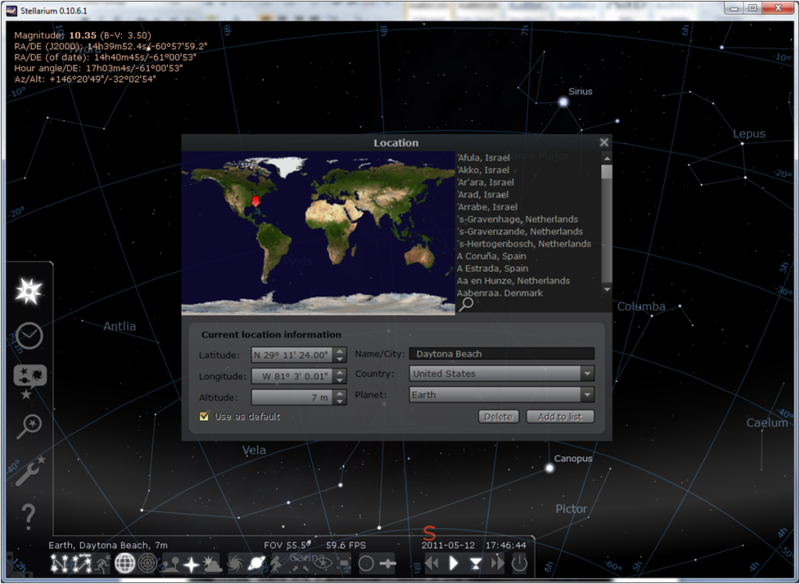 The program has tons of features, allowing you to fast forward or reverse time to see when an object will rise or set, it shows major satellites to help find stuff like the ISS, it shows all the constellations, like 600,000 stars and tons of nebula and galaxies that you can zoom in on. Just let it know where in the world you are viewing from, and it will handle all the rest. 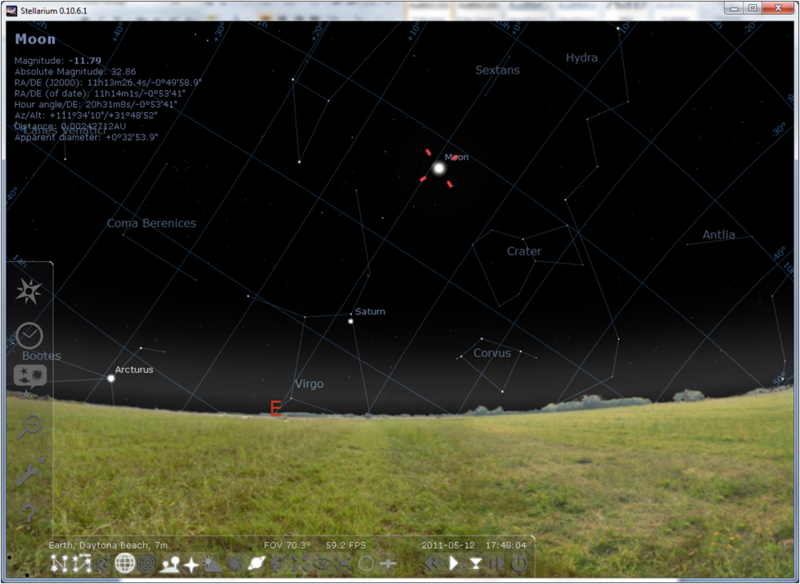 So if you’ve ever wondered where to find a star in the sky, what the constellations are and where they’re located, or figure out when you can see a planet in the sky, check Stellarium out. *This is not a paid advertisement. Although I’d pay for it.